With all the commotion around dockless bikes in San Diego, did you know that in the first two weeks of operation, LimeBike company had 21,000 new users and 55,000 rides which equated to 25,000 pounds of CO2 saved? These new, bright dockless bikes offer San Diegans and visitors alike an affordable, healthy, and convenient way to experience our city and navigate our daily lives. This is tremendous! 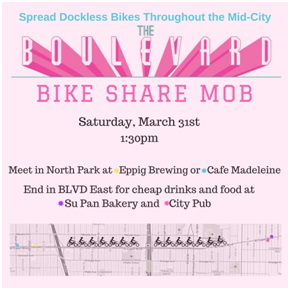 In hopes that all those riders are finding their way to The Boulevard and supporting local businesses, join the El Cajon Boulevard BIA to spread the Share Bike culture down the Boulevard to our BLVD East Hub TODAY Saturday March 31st. 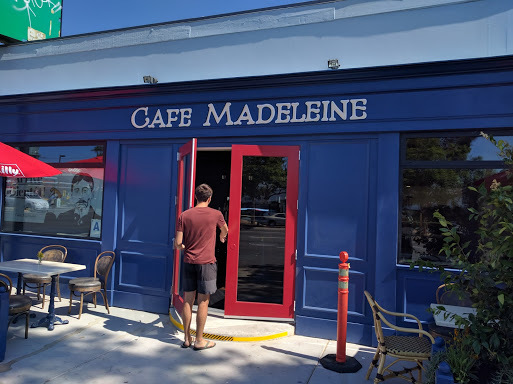 Grab a dockless bike and ride to Eppig Brewery or Café Madeleine at 1:30 pm. From there we will take off together down the Boulevard for a relaxing afternoon of light exercise and exploration. Once in the BLVD East hub, check out the small businesses that give the hub between Talmadge and City Heights a distinctive laid-back culture. City Pub will offer riders their first drink for $2 with happy hour prices to follow, Su Pan Bakery will make up a special turkey croissant sandwich for $2. 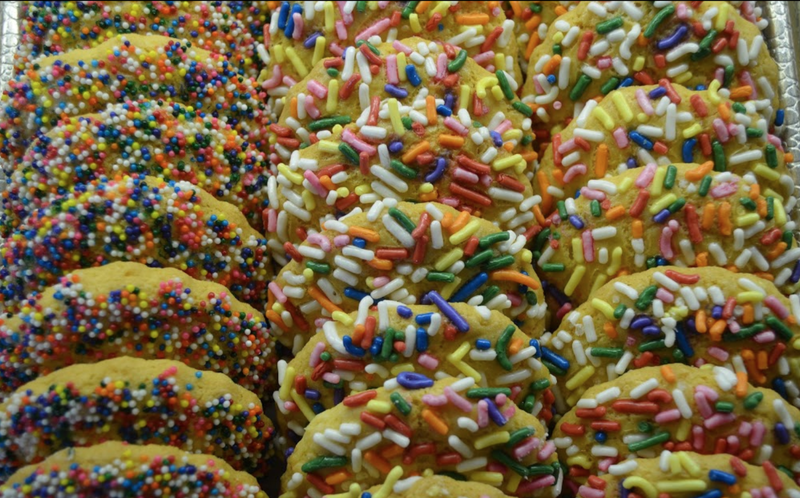 Yes, Su Pan Bakery is offering a healthy turkey sandwich for $2 but they also make SWEETS! We want to make sure the Bike Share opportunity is available to all of the communities that surround the Boulevard. We hope some of you will consider alternative means home, leaving your dockless bike behind for the surrounding communities to enjoy.